Augusta Ranch is a vibrant master planned community located in the East Valley. 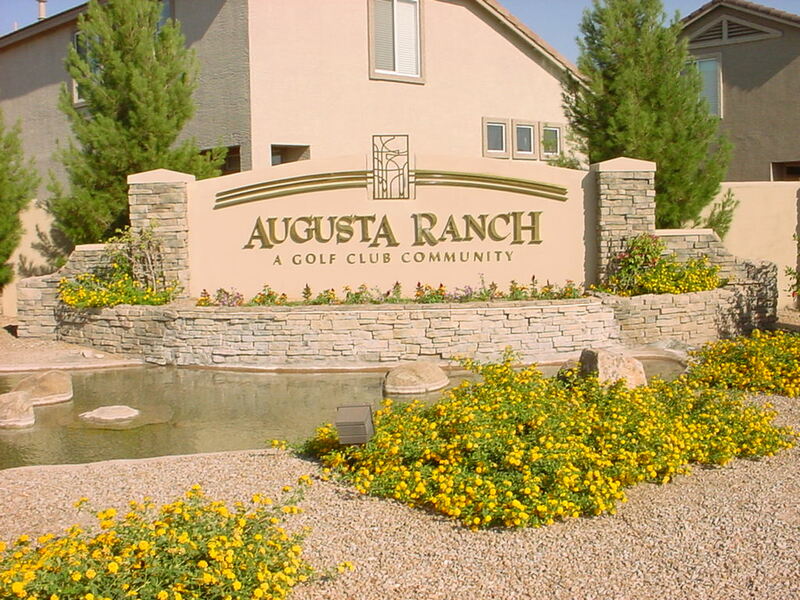 Built around the beautiful Augusta Ranch Golf Course, Augusta Ranch homes are surrounded by outstanding schools, well maintained parks, and gorgeous views of the Superstition Mountains. Within the heart of the community, Augusta Ranch houses the Augusta Ranch Golf Club. This 18 hole, par 61 course has been rated “Best Executive Golf Course” by the Arizona Republic and is home to the East Valley Short Course Championship. The course is open to the public (not limited to just Augusta Ranch real estate owners) and frequently partners with the HOA to host community events. Residents of Augusta Ranch enjoy walking paths, green open spaces and 5 parks that include 4 play structures, 3 full size basketball courts, 3 sand volleyball courts, and 9 ramadas. Students living in Augusta Ranch homes can take advantage of the benefits of attending school within the distinguished Gilbert School District. Those looking for Augusta Ranch homes for sale can choose from single or two story detached houses with a yard, town homes with attached garages or condos perfect for part time residents. A private security firm patrols the tree-lined streets of the neighborhood and ensures the safety of Augusta Ranch homes. Whether looking for Augusta Ranch homes with a pool or searching for Augusta Ranch homes for sale overlooking the sparkling golf course lake, there are amenities everyone can appreciate.